Having a background of utilising ammonia as an alternative fuel for power generation, exploring the feasibility of co-firing ammonia with methane is proposed to use ammonia to substitute conventional natural gas. However, improvement of the combustion of such fuels can be achieved using conditions that enable an increase of oxygenation, thus fomenting the combustion process of a slower reactive molecule as ammonia. Therefore, the present study looks at oxygen enriched combustion technologies, a proposed concept to improve the performance of ammonia/methane combustion. To investigate the characteristics of ammonia/methane combustion under oxygen enriched conditions, adiabatic burning velocity and burner stabilized laminar flame emissions were studied. Simulation results show that the oxygen enriched method can help to significantly enhance the propagation of ammonia/methane combustion without changing the emission level, which would be quite promising for the design of systems using this fuel for practical applications. 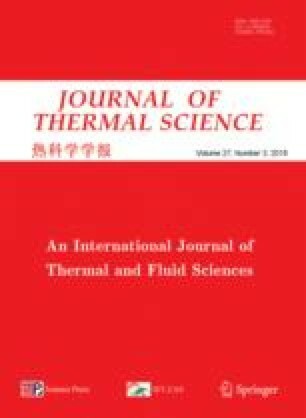 Furthermore, to produce low computational-cost flame chemistry for detailed numerical analyses for future combustion studies, three reduced combustion mechanisms of the well-known Konnov’s mechanism were compared in ammonia/methane flame simulations under practical gas turbine combustor conditions. Results show that the reduced reaction mechanisms can provide good results for further analyses of oxygen enriched combustion of ammonia/methane. The results obtained in this study also allow gas turbine designers and modellers to choose the most suitable mechanism for further combustion studies and development. This study is financially supported by the Welsh European Funding Office (WEFO) through its program “Flexible Integrated Energy Systems (FLEXIS)” (Grant No. 80835).